In the 30 years since Deng Xiaoping’s “reform and opening-up” policy of 1978, China’s GDP has developed at an unprecedented rate, averaging 10 percent growth per annum. However, the relentless momentum of investors turning their sights towards China has softened of late. A slowed projected GDP growth of 6.7 percent in 2016 – the lowest in 25 years – combined with stock market volatility has caused alarm among observers. While some of these fears are grounded in reality, others are overblown. After decades of rapid growth and development, the Chinese economy is inevitably changing. The Middle Kingdom is undergoing a major overhaul, transitioning to have a service and consumption driven economy rather than one based purely on manufacturing and export. This transition is not unconditionally negative for the country’s competitiveness, and is understandably changing the way in which investors approach and operate in the country. 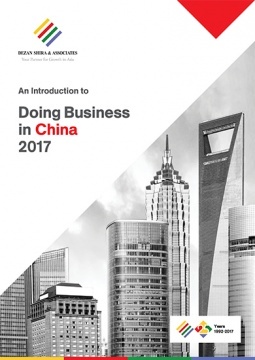 In fact, between January and November 2016, foreign investment in China exceeded US$110 billion, a growth of nearly 34 percent year-on-year.